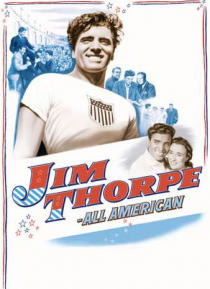 Screen legend Burt Lancaster stars in this action-packed adventure about Jim Thorpe, famously deemed "the greatest athlete in the world" by Sweden's King Gustav V after the Stockholm Olympics in 1912. Thorpe, a native American, captured two gold medals for the decathlon and the pentathlon, only to have them taken away. This story follows Thorpe's life filled with controversy and tragedy, but marke… d by personal triumphs and hope. In recent years, the athlete's daughter has successfully won the reinstatement of her father's medals from the International Olympic Committee, rightfully commemorating this great man. From the director of CASABLANCA.